Our indoor environment is designed to allow children to move freely through the distinct learning centres which include, maths, writing, art, library, discovery, sensory table, dramatic play and blocks. Each focused centre in the room builds specific skills and creates an environment that stimulates imagination, creativity, socialisation, exploration and discovery. Children are also surrounded with supplies and resources that enable them to construct, represent and test theories. Large block of time are given to explore in learning centres so that children may fully develop their ideas and thoughts. We offer Indoor/Outdoor play within rooms, we feel this offers children a choice on how they would like to spend their day. The children are able to move freely from the Indoors and Outdoors during these times You will often see small groups of children playing in the room with an educator while the rest of the children are outdoors. We offer this flexible learning weather permitting. Each room goes ‘out and about’ – this can mean a walk in the local area, stroll down to the park, a picnic on the grass areas surrounding the centre or a walk to watch the storm water drain after a heavy rain. We find the children love the sense of freedom these outings offer. They love finding new treasures, creatures or plants and their excitement is contagious. This theme runs throughout the centre, with rooms accessing nature resources and toys. These toys and resources are open-ended and therefore children are able to use their imagination to create whatever they have in mind. 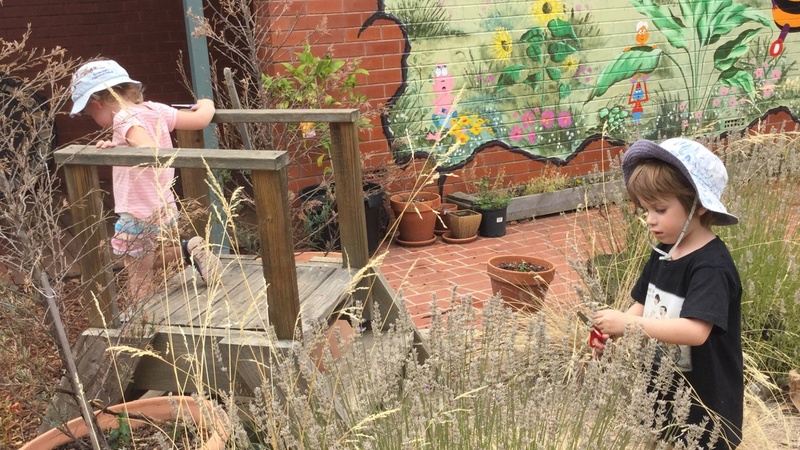 Our outdoor environment is designed to be a place for children to learn, explore and stretch their imaginations. We take every opportunity to extend our learning to the outside. STEAM is integration in our curriculum and children are asked lots of ‘WHY’ questions to extend their thinking.